The showroom has very unique mix of original designs, vintage, antique furniture and accessories. Custom Furniture, Custom Wallpaper, custom fabrics….Design services available. 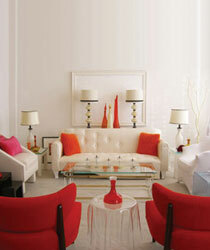 DWM Original Furniture and Lighting Designs, Custom Lucite Furniture and accessories, Antiques and Vintage items. Beautiful Items from Europe and America. Highly Collectable Vintage Table Lamps, Decorative Glass. Custom Handmade Wallpaper Made in the USA. DWM | MALOOS Custom Wallpaper/ Fabric / Digital; on demand made in San Francisco. Please visit us for one of a kind and conversation pieces, something sublime or anything that you dream of and can not find anywhere else.